We believe that warm, nurturing friendship is a basic need of all people and is the catalyst that promotes healing of offenders. We reach out to involve them in strong healthy relationships that offer hope. Person2Person is a friendship-based visitation program inside prison. The program seeks to restore offenders to wholeness and to the community. Volunteer visitors are matched with prisoners for the purpose of establishing and modeling healthy friendships. Typically the ratio is one volunteer to one inmate. Sometimes a couple (such as a husband/wife team) will visit the inmate. Prisoners in Prince Albert (Saskatchewan Penitentiary and Riverbend) and in Saskatoon (Regional Psychiatric Centre) may apply for visits through P2P co-ordinators in these institutions. Prisoners not receiving visits from family or friends are eligible to be matched up with a friend through P2P. The frequency and times of P2P visits and social events vary from one institution to the next. Prisoners experience respect, acceptance and friendship to counteract the isolation and loneliness in prison. 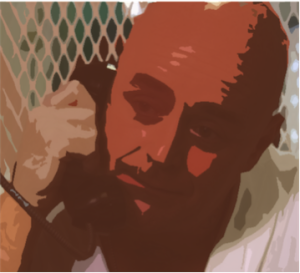 Do the Visits Impact Recidivism? Person2Person originated as a program owned and operated by Mennonite Church Saskatchewan, a conference of approximately 35 congregations affiliated with Mennonite Church Canada, and formerly known as the Conference of Mennonites of Saskatchewan. It began in the Prince Albert region in the 1970’s. The purpose of P2P was to engage the conference churches in the justice ministry of the church through prisoner visitation in the federal penitentiary in Prince Albert. The efforts were in keeping with Christ’s words “I was in prison and you came to visit me” (Mat 25). The focus was more on visiting prisoners who did not already receive visits. It also included work with released offenders, and over time, it expanded to become involved with Circles of Support and Accountability. 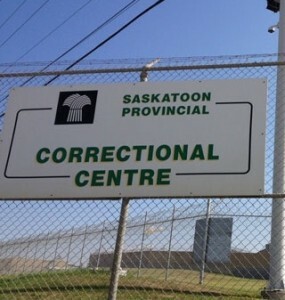 The Saskatoon program of P2P was organized around volunteer visitation with inmates at both the Regional Psychiatric Centre and the Saskatoon Correctional Centre, beginning in 1981. This P2P work expanded into the Forward Step program to include relating to the offenders upon their release.